It is every little girl’s dream to play like a princess in a place where all her imaginations come to life! Welcome to Sanrio Hello Kitty Town! It’s a place where the world’s friendliest kitty lives. Located in Nusajaya, Sanrio Hello Kitty Town is one of the must visit travel destinations in Johor Bahru, Malaysia. This little town is the first Sanrio Hello Kitty Town located outside of its origin country, Japan. It features a wide selection of indoor and outdoor attractions. Head down to The Little Big Club where five globally popular children’s characters are exclusivity gathered together in one place where they roam around to put a smile on the face of little children. 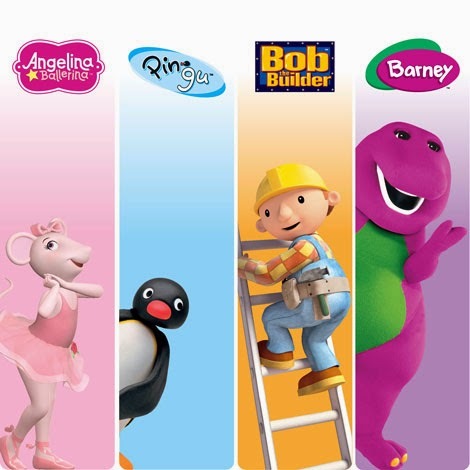 Come over and spot some of our favourite characters like Bob the Builder®, Barney®, Angelina Ballerina®, Pingu® and Thomas and Friends® in action. Parents love watching their kids exploring new things, even building things! It is a good sign that your kids may want to pursue a career in either civil engineering or architecture. Well, at SANRIO HELLO KITTY TOWN, kids get to play and learn new things from Mr. Bob the Builder®! Take them to level 2 where they get to challenge their building skills with Bob the Builder® Play Structure and Can-Do-Crew. Bob finds his passion in building houses; we hope your children will love it too! “I love you, you love me, we are a happy family” is Barney’s favourite quote. This purple dinosaur spreads its love through its famous TV show that brings us back to our childhood. Let Barney® spread the message of love to your children through his entertaining live sing-a-long performances in level 2 of The Little Big Club®. There are also fun rides and playgrounds where kids get to play and have a meet and greet session with Barney®. Perhaps it is every mother’s dream to watch her little princess dance as graceful as a swan. At Angelina’s Dance Studio, visitors get to meet and dance with our favourite character, Angelina Ballerina®, who dances with her friends, Miss Mimi, Vicki, Gracie and A.Z. who will show off some of their fun dance moves. What’s unique about the class is its concept where it uses a computer generated image of the character and her friends to teach children how to dance. If you see dance potentials in your child, this class would probably be a great motivation for him or her. We love to watch the movie ‘Happy Feet’ for its inspiring story. Well, we never forgot about one of the penguins that are close to our heart, Pingu®. It feels like it was only yesterday that this adorable penguin first appeared on TV. Never understood a word it said but we suppose actions speak louder than words. It’s good to know that the world hasn’t forgotten it despite its gibberish. Located in level 2, Pingu® attracts its fans with fun customised games like Whack-a-Fish, Pingu’s Water Blaster and Fish with Pingu. Get your children to play snowboard ride on the snow with Pingu® or perhaps get them to try out the sensory learning walls. “Choo Choo” is what you hear when Thomas and friends are just around the corner! Take your children all the way to level 3 to experience fun rides such as Bumping Buffers Steamies and Diesels bumper cars. With different facial expressions of rides that are themed on Thomas, Percy and Mavis as well as the Troublesome Trucks characters, you’ll definitely have plenty of photos with different facial expressions of these characters to show to your children! What else to expect here? There are other attractions that would excite your children to keep you stay longer at the theme park –enjoy Bertie the Bus, Harold’s Helitours and Colin Crane Drop rides. You can also visit Sir Topham Hatt’s Play Station and Thomas and Friends® Imagination Station. If your little ones want to have their birthday celebration held with their favourite characters, the Maron and Wellsworth Station party rooms are always open for early reservation. Ticket prices are very affordable, ranging from as low as RM55 per person to RM110 per person. For more information, kindly visit www.playtime.com.my/little-big-club. Kids below 3 years old are entitled to free admission. Don’t forget to catch up with some of Sanrio’s adorable stars live shows. 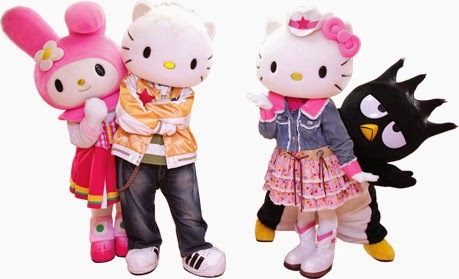 To its view entertainment schedule, visit www.playtime.com.my/hello-kitty-town/entertainment-schedule. There are of course a few modes of transportation that are available to take you here. Taxis are expensive, buses are sometimes unreliable. Don’t worry. Johor Transport have it all covered for you. With our service, we’ll make sure that you will reach your destination safely and economically. Do explore our website to learn more about our service and packages. We’ll take you right to Hello Kitty’s front door as well as to other nearby destinations in Johor Bahru such as a tour to Legoland.